Adrienne K. Chan is an Infectious Diseases physician and Assistant Professor of Medicine at the University of Toronto, Canada. Currently, Dr. Chan serves as Medical Advisor with Dignitas International and is a staff physician at Sunnybrook Health Sciences Centre,Toronto. She holds a cross-appointment to the Clinical Public Health Division at the Dalla Lana School of Public Health and the Institute for Health Policy, Management and Evaluation at the University of Toronto, where she teaches on Health Systems Management in International Settings. Over the last 11 years, Dr. Chan has worked in southern Africa with clinical experience in Malawi, Lesotho, Sierra Leone and Zimbabwe, and multiple research collaborations with regional and international networks. 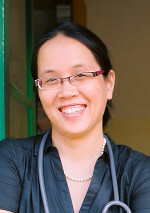 In 2007, Dr. Chan joined Dignitas International, a Canadian NGO, as the organization’s HIV Clinic Coordinator in Zomba, Malawi, and later became Medical Coordinator for the Malawi country program. Dr. Sumeet Sodhi is a Research Scientist at Dignitas International. 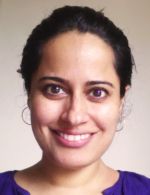 She is also a staff physician with the Toronto Western Hospital Family Health Team at the University Health Network and an Assistant Professor in the Department of Family and Community Medicine at the University of Toronto, where she received her undergraduate and postgraduate medical education. She completed her MD in 1997, family medicine residency in 1999 and low-risk obstetrics fellowship in 2000. As well, she obtained her Master of Public Health degree from Harvard University in 2006. Sumeet has extensive experience working as a field doctor, program consultant and researcher in global health and resource-poor contexts, primarily in Africa, Asia and Canada’s northern communities. She has been affiliated with Dignitas International since 2006, where she has been instrumental in building operational research capacity in the organization by championing integration of the research and program departments. Sumeet’s current research interests include evaluating HIV/AIDS and primary care service delivery models in resource-poor settings, developing and evaluating knowledge translation tools to support health care workers in clinical management of HIV/AIDS and primary care conditions, and in observational cohort analysis of patients enrolled in antiretroviral treatment programs in sub-Saharan Africa. 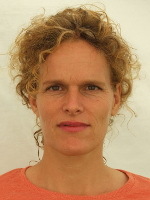 Dr. Monique van Lettow received her PhD in medical sciences from the Radboud University Nijmegen, the Netherlands and her Master’s in Public Health from the Liverpool School of Tropical Medicine. Prior to joining Dignitas International, Monique served as the Co-Investigator for the Randomized Controlled Trial of Adjunct Micronutrient Therapy for Tuberculosis and HIV/AIDS study as well as the Program Manager for Johns Hopkins University, stationed in Zomba, Malawi. Monique has additional research and field experience throughout West and Southern Africa. She joined Dignitas International in 2007 and currently serves as Research Advisor, Epidemiology and Dissemination. Her research interests include TB/HIV integration and the prevention of mother-to-child transmission. Dr. Alemayehu Amberbir is a medical epidemiologist with over 10 years of experience in both academia and field research programs in Ethiopia and Malawi. 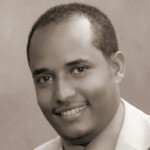 He holds a Masters in Public Health from Jimma University, Ethiopia, and PhD in Epidemiology and Public Health from the University of Nottingham, United Kingdom. Dr. Amberbir previously held the position of lecturer in Epidemiology at the London School of Hygiene and Tropical Medicine. He has been involved in the design and implementation of large non-communicable diseases (NCD) surveys focusing on cardiovascular diseases and diabetes in rural and urban Malawi. He currently works as an epidemiologist at Dignitas International based in Zomba, Malawi and is involved in various research efforts, including the Grand Challenges Canada NCD-HIV integration project. His research interests include cardiovascular diseases, diabetes and chronic respiratory diseases as well as the integration of NCDs and HIV care.